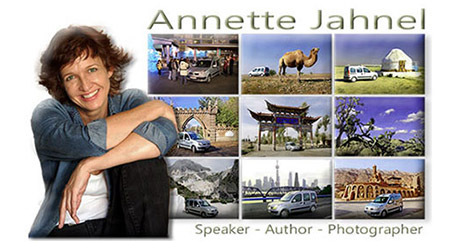 After hearing Annette’s presentation at a Vashon Rotary Meeting, and interviewing her for my radio show, Prose, Poetry & Purpose, I can say that through her life, her work, and her book, My Year of Beds, Annette Jahnel delivers an irreverent yet insightful viewpoint on a better life lived outside the box. Imagine yourself, living the comfortable life. You have a job you enjoy, a family, a home, friends and all the rest…what, I wonder, might cause you to leave it all for a whirlwind, around-the-world, solo trip in a van, with a pocket-ful of black sharpies and a question for every 35+ year old man you meet: What is your wish for the world? Have you ever wondered why writers write what they write? the varied, and often surprising, answers to that question!